International Enterprise Singapore (IE) wanted to make a big impact for its members at one of Brazil’s largest energy industry events – Rio Oil & Gas. IE is one of the key governmental drivers behind Singapore’s international economy. With the country’s energy expertise growing it wanted to place member organisations on the international stage. Zoom Out’s local knowledge of Brazil and expertise in the energy industry made them the perfect partner for IE. The objective of the campaign was to familiarise the Brazilian market with the IE delegation that attended Rio Oil & Gas – pre-, during and post-event. Zoom Out embarked on a PR programme to engage local trade media with IE and their member companies, gaining coverage in both on- and offline platforms. Media training for IE representatives was also a key aspect of preparing the client for the cultural differences they would face with the Brazilian media. And the results were great. 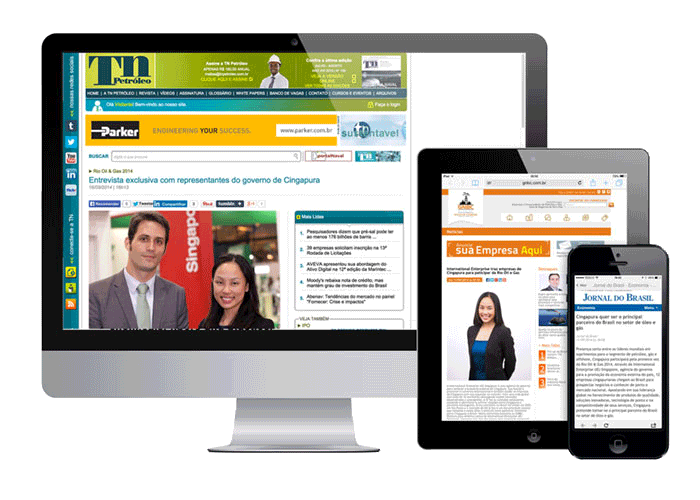 Share of voice during large trade shows like Oil & Gas Brasil can be challenging to achieve, but the campaign received a significant share of voice, with articles appearing in publications such as Jornal O Globo, Jornal do Brasil, Portal Fator Brasil, TN Petroleo, Brasil Energia and GNBC. International Enterprise Singapore also received a large number of visitors to the Singapore Pavilion at the event.